Shouldn’t our Senators be pushing employers to get workers authorized? A CAPS supporter responds to a misleading statement from Senator Feinstein on the RAISE Act. In a rousing speech reminiscent of his campaign, President Trump speaking in Youngstown, Ohio, endorsed Senators Tom Cotton and David Purdue’s RAISE Act. The legislation would shift immigration policy away from family chain migration, and implement a merit-based system. President-elect Donald Trump’s immediate immigration priorities are on illegal aliens who have committed serious crimes, but the Philippines may be ahead of the U.S. immigration enforcement curve by sending the message to all Filipinos living here illegally to head home. From the Philippines Diocese of Balanga, Bishop Ruperto Santos encouraged his countrymen who might be living in the U.S.
Immigration advocates recently trumpeted a report from the Pew Hispanic Center that the educational attainments of legal immigrants, at all levels of schooling, have greatly increased since 1970. In 2013 the percentage of newly arrived immigrants with post-graduate degrees (18 percent) significantly exceeded the number of native-born Americans with this level of education (11 percent). Calculating the average of various prominent national polls that included Fox News, CBS and Gallup, Real Clear Politics found that 78.2 percent of Americans disapprove of how Congress is handling America’s business, while only 12 percent approve. Exactly as Californians for Population Stabilization has said for years, immigration and birth to immigrants account for and will continue to be the primary driver for an overwhelming majority of the nation’s population growth. Since President Obama announced his executive immigration action last November, critics warned of harmful short- and long-term consequences. Most of the immediate focus is on the 5 million aliens who will be rewarded for their lawless behavior with work permits, Social Security cards and welfare benefits, while citizens and legal immigrants who will have to compete with them for scarce jobs will be punished. 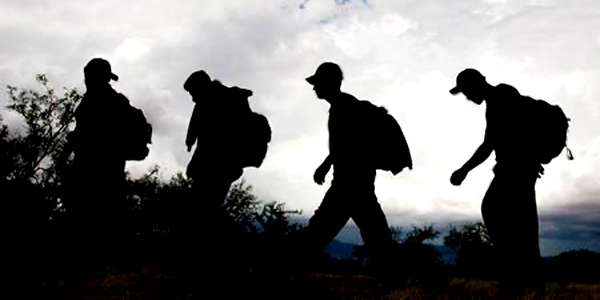 Immigration advocates have co-opted Independence Day to use as an amnesty propaganda tool. Every year, U.S. Citizenship and Immigration Services holds multiple naturalization ceremonies throughout the United States.